For over 100 years, bacteria have been identified by their biochemical properties through the use of various test methods. With the addition of MALDI-TOF Mass Spectrophotometry (MS) technology, things are changing. In this post, we offer a brief overview of MALDI-TOF technology and highlight what laboratories should consider when implementing these systems. MALDI-TOF (matrix assisted laser desorption/ionization-time of flight) was developed in the 1980s to enable mass spectrometric analysis of large biomolecules. Since then MALDI has transformed the life sciences. 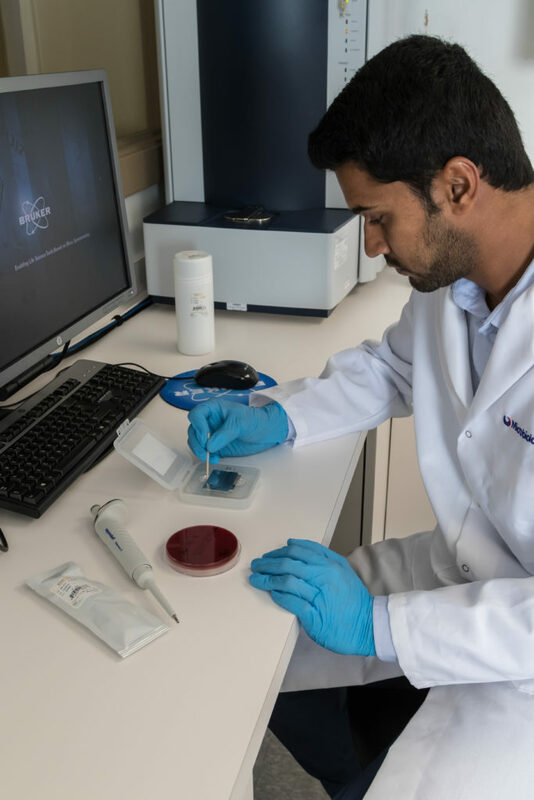 Within the last few years MALDI has become a key player in the commercial microbiology identification market because its process is simple, fast and accurate. MALDI technology measures highly abundant proteins that are found in all microorganisms. The characteristic patterns of these highly abundant proteins are used to reliably and accurately identify a particular microorganism by matching the respective pattern with an extensive open database to determine the identity of the microorganism down to the species level. MALDI instrumentation offers many benefits to laboratories including long-term cost reduction due to the minimal use of consumables. In addition, turn-around times for identification are fast and accurate because the instrument can dependably identify directly from the selective media used to isolate the strain. There are currently two major MALDI manufacturers: Bruker and bioMerieux. In 2013, both the Bruker MALDI Biotyper CA System and bioMerieux Vitek MS obtained U.S. Food and Drug Administration (FDA) clearance for clinical use within the United States. Your lab is switching to MALDI-TOF technology. What are the next steps? Reviewing literature and standards (for example, CMS, CLSI, CAP, Cumitech, ASM). Laboratories in the United States must consider Center for Medicare and Medicaid Services (CMS) regulations, accreditation requirements and state regulations when implementing their QC procedures. According to CAP MIC.16605, laboratories using MALDI-TOF systems to perform organism identification must run appropriate control organisms each day of patient testing. Purchase well characterized strains from a reference culture collection or a qualified secondary supplier. Keep the manufacturer’s Certificate of Analysis for your records. Limit the number of transfers. Each time a microorganism is subcultured there is a risk of mutation. Microbiologics provides a plan for maintaining microorganisms – Maintenance of Quality Control Strains. Follow manufacturer’s instructions for storing microorganisms. Frozen microorganisms do not survive for long periods in a frost free freezer or at temperatures of -20°C or warmer. The Manual of Clinical Microbiology states, “…damage caused by ice crystal formation and electrolyte fluctuations results in poor long term survival…” for microorganisms stored at -20°C. 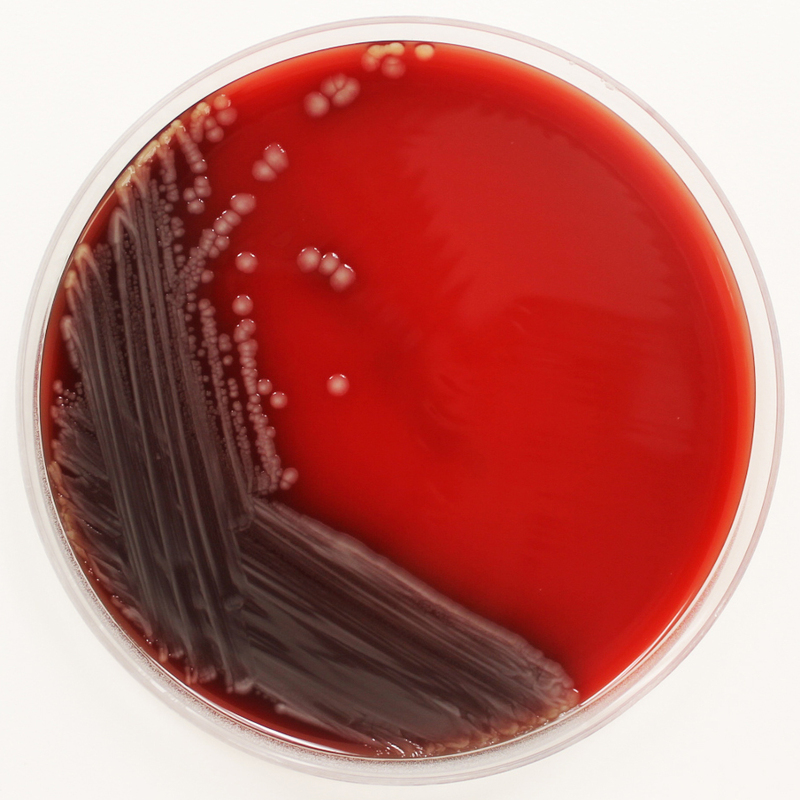 To learn more about quality control testing for microbial identification systems, check out our How to Choose QC Strains for Microbial ID Systems blog post. We’re taking a poll; please select from the following options. Microbiologics has formed a partnership with Bruker to develop specialized identification panels for the Bruker MALDI Biotyper System and Bruker MALDI Biotyper CA System. If your lab uses the bioMerieux Vitek MS, we offer Escherichia coli derived from ATCC® 8739™* in a variety of formats for quality control of the instrument. Visit our website to find the panels your lab needs for QC.